If you’ve noticed that there are fewer gas-eating large SUVs on the road these days, you’re on to a best-kept secret: Consumers are searching out the best compact crossovers. Why not get the best of both worlds? With compact crossovers, you get the utility and flexibility of a sport ‘ute and the comfort and driving dynamics of a car. Ford Escape – Smooth ride, powerful engines and fuel economy in the top half of its class are hallmarks of the 2010 Ford Escape. Some reviewers find the styling a bit dated, especially in a field of many competitors. 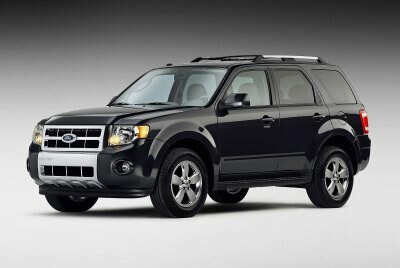 Kelley Blue Book says: “If you’re looking for traditional SUV features, such as high ground clearance and a high seating position, but you want it in a smaller, more fuel-efficient package, the 2010 Ford Escape makes a good choice. Compact luxury crossovers are hot today as well. Consumers looking for upscale compact crossovers should take a look at the Acura RDX, Audi Q5, Infiniti EX35, Mercedes-Benz GLK-Class, and Volvo XC60. Which Best Compact Crossovers strike your fancy? Take a test drive of several and find the one that fits your driving needs and style. The Chevy Equinox gets my vote because of the fuel economy, power and the fact that they’ve created around 100 hydrogen fuel cell versions of this vehicle.